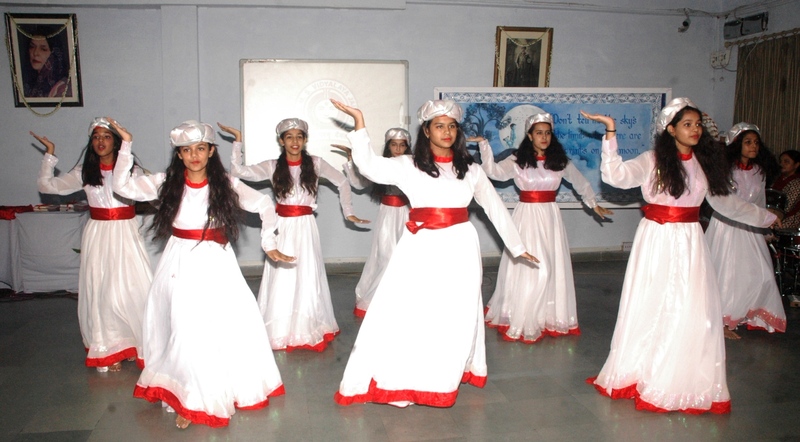 On the occasion of the 33rd Founders’ Day of Maharaja Sawai Man Singh Vidyalaya (MSMV), a two-day cultural event was organised. The programme today witnessed ‘Winds of Change’ in which students competed and participated in various activities. Participants displayed their talents in rock band performances, poetry writing, caricature drawing, sufi dance competition and history quiz. Other than this, two non-competitive activities were also organised to encourage the students to apply their critical thinking. These activities included a panel discussion on contemporary issues and a workshop entitled ‘Design the Change’ conducted by Ms. Tina Balachandran. As many as 22 schools of Jaipur participated in the programme. The Chief Guest, Rani Vidya Devi said on the occasion that the idea behind the event was to carry forward the legacy of the founders and create a sense of ownership and pride for the city of Jaipur amongst the students. Principal of MSMV, Ms. Krishna Bhati said that the aim of the event was to give the students a platform to showcase their talents and inspire them to give back to the community. Awards were also distributed to winning schools in different categories. The overall winner for the programme was MSMV. However, the Winner’s Trophy was not retained by the host school and given to the 2nd highest scorer, Jayshree Periwal International School. A special prize was also given to Disha school for their dance performance. Schools like – MSMV; Subodh Public School Rambagh; Umang; The Palace School; Maheshwari Public School; St. Edmund’s were among the participating schools.